Our friendly team is dedicated to providing you with professional dental care with a gentle touch. Our friendly team is dedicated to providing you with professional dental care with a gentle touch. Get to know Dr. Bruzek and the rest of the team. 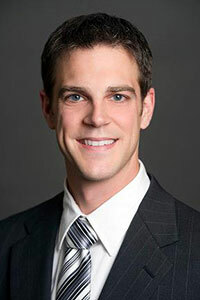 Dr. Matthew Bruzek grew up in Minnesota and graduated from the University of Minnesota School of Dentistry in 2006. Upon graduation, Dr. Bruzek was commissioned as a dental officer in the U.S. Navy and completed a one year post-graduate residency at Naval Health Clinic Great Lakes. After serving his time in the Navy, Dr. Bruzek and his wife Laura Wilhelm-Bruzek, a St. Clair Shores native, have made their home in Michigan since his honorable discharge from the military. Dr. Bruzek is passionate about all areas of general dentistry, including endodontics and oral surgery. Dr. Bruzek has also spent many hours of continuing education in placing and restoring dental implants. He believes strongly in a compassionate, caring approach to dentistry and prides himself on his gentle touch with anxious patients. Together with Laura they are excited to open their new office in Riverview Plaza, an acheivement that has been 2 years in the making! Dr. Bruzek has a great passion for animals, and when not at the dental office is helping his wife with her animal rescue. Together they have numerous animals, all of them rescues. Laura founded Paws For The Cause Feral Cat Rescue 10 years ago, and was granted 501(c)(3) non-profit status in 2011. Over the years the rescue has garnered national attention and has been featured in several news articles and local news broadcasts, speaking out against animal abuse and the importance of spay and neuter.